You did send a man to the moon! Did you watch the Apollo 10 launched from Cape Kennedy on May 18, 1969, on a black and white TV, with spindly antennas and fuzzy reception? Prior to that moment in my fourth grade classroom at Solomon Schechter Hebrew Day School, my biggest concern about events in the sky, was that G-d might be looking down on me, from there, with disapproval. 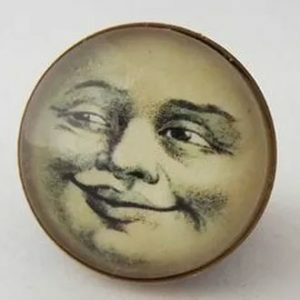 When I was younger the lullaby “I see the moon and the moon sees me” brought to mind a cherubic moon face guarding me safely, but as a nine year old fourth grader I had a whole thing going on. The MOON was watching me, the moon could see what I did and didn’t achieve. The moon had its eye on me. I was never gonna get away with nothin’. JFK’d been dead for 6 years already, but the boys in our classroom said we owed this to our dead president, who would remain young forever, just as we thought we would. Now we were stuck with this Nixon character who would lead us all to ruin — (the irony was that only years later I would appreciate that it was the Nixon years that brought large increases in Social Security, Medicare, and Medicaid benefits). We all thought JFK was our guy, so how could I disagree with him? Things were a little more confusing than I anticipated. I don’t know how they did or didn’t manage the risk of potentially suicidal detainees in 1961 or how our landing on the moon has improved the human condition. But I sure do hope and believe that there is a better option than stripping someone naked and putting them in chains. That’s how I see the battle between freedom and tyranny. Solving that conundrum might be just a small step for humanity to take, but it would be a giant step for humankind.